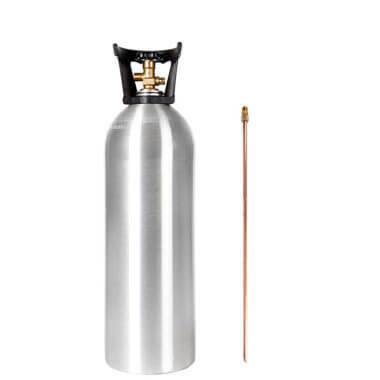 35 lb aluminum CO2 cylinder – the perfect combination of capacity and light weight in a portable CO2 tank. Ideal for industrial, aquarium, beverage, and special effects use. New 35 lb. 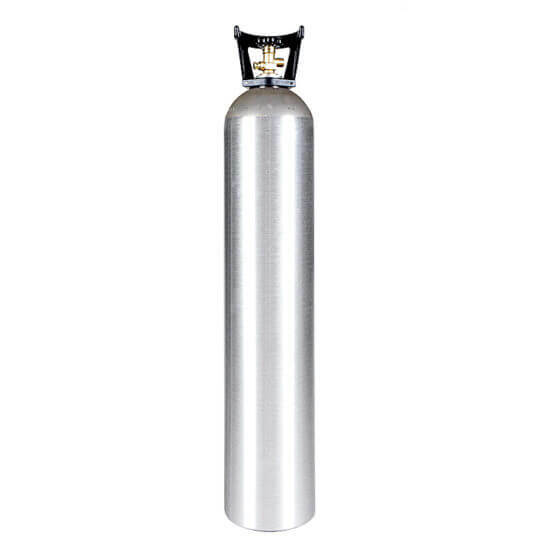 aluminum CO2 cylinder with CGA320 valve. 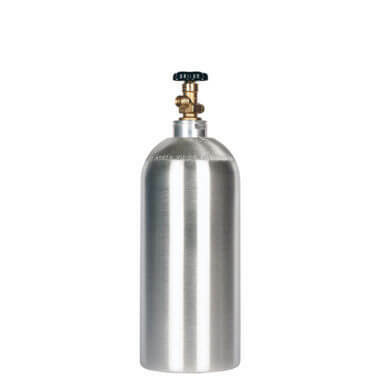 The largest capacity CO2 tank available without going all the way to the 50 lb size. 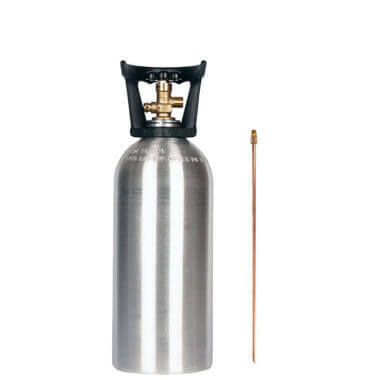 Also available in a 35 lb CO2 cylinder with siphon tube for filling applications.